PUSH 22 is looking for a talented senior designer/art director to join our team. 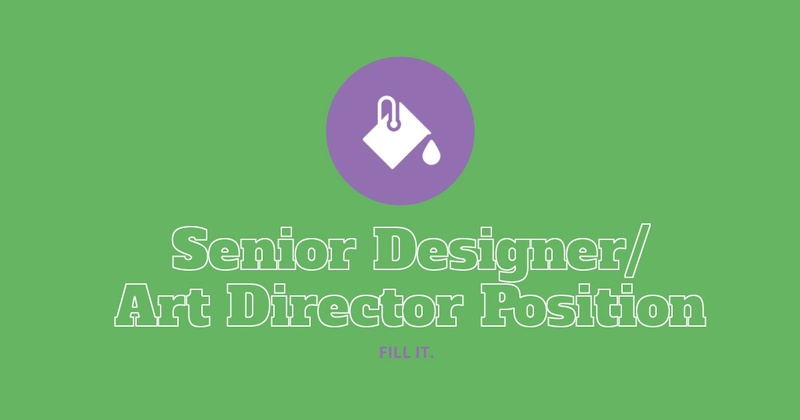 As a key member of the creative team, you’ll help the agency deliver on its promise of “move forward thinking” through a lead role in creative work of all types – from branding and identity to advertising to events to digital and web. You can expect a competitive salary, benefits, 401k and profit-sharing programs, as well as frequent lunches from our favorite restaurants. We will also sing to you on your birthday (for which we apologize in advance). If you're interested, email your resume and online portfolio to careers@push22.com.